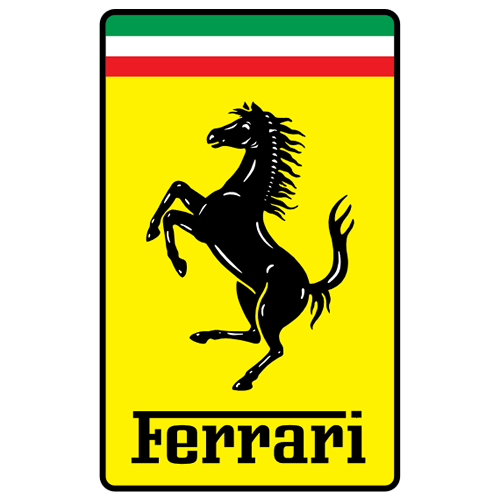 Ferrari founded by Enzo Ferrari in 1929 is among the famous brands in the world. Ferrari is a racing concern however it did not bring out its first car till 1947. Ferrari is a brand included in the wish list of all car lovers who have no spending limits to care about. 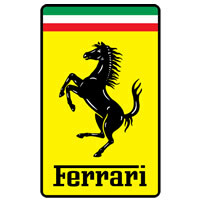 Ferrari has won numerous constructor titles and championships and is thus taken as a synonym of Formula 1. Ferrari also offers its range of modern road cars including the 612 Scaglietti, 599 GTB, F340 and California. Ferrari has also recently introduced the much acclaimed model pertaining to its design and features the F458. Ferrari produces supercars like the Legendary 250 GTO followed by the F40 and F50 models preceded lately by the Ferrari Enzo and the FXX as buying on invitation basis. These cars are produced on invitation and in very limited quantity. Ferrari's continue even today to race in the Rosso Corso, racing red. Red is the color linked with road cars including Testarossa which refers to re head and is named after the red colored painted head of the engine in the vehicle. Ferrari was and is still known as a name and a symbol of wealth and luxury. Maranello, near Bologna in Northern Italy has long been the home of Ferrari from the 1940s. The Ferrari factory is built over 250,000 sq meters and has 3000 workers working in its 45 buildings. The factory is the ultimate destination where technology, innovation and passion collided to produce the company's symbolic, Formula 1 and GT cars. The company received permission to built a small plant which made machine tools in Maranello on December 1942. At that time Enzo chose to move to Maranello from the initial headquarters of the Scuderia Ferrari in Via Trento Trieste, Modena. The reason for the shift as written by Enzo in his memoirs was because he owned a small piece of land in the immediate vicinity of the factory.